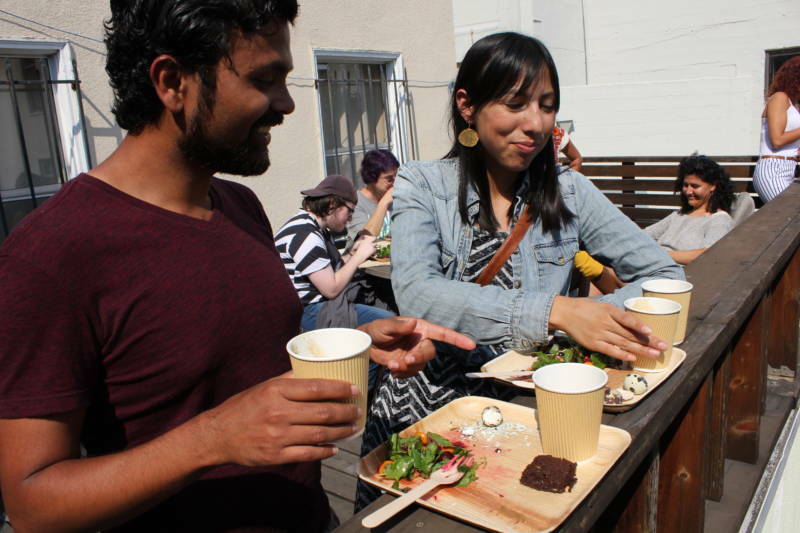 The Bay Area is renowned for its food, both global and local. But when it comes to the first foods of this place, not so much. Until now. 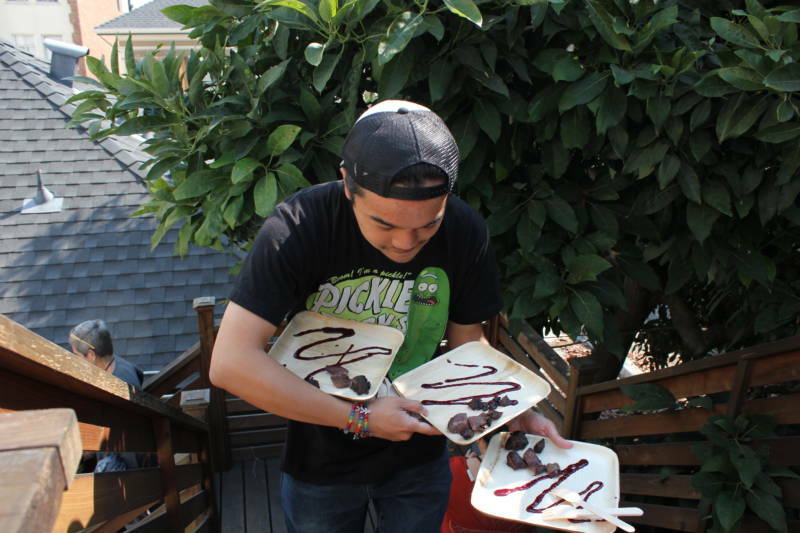 Cafe Ohlone, a new cafe featuring native Ohlone cuisine, has been hosting preview tastings inside University Press Books near the UC Berkeley campus, as it moves toward regular hours and a grand opening later this fall. Standing in line for seconds, tribal member Johnny Dominguez called the place and the food an "honor" to behold. "I just had smoked venison, and that was really good," Dominguez said with a smile. 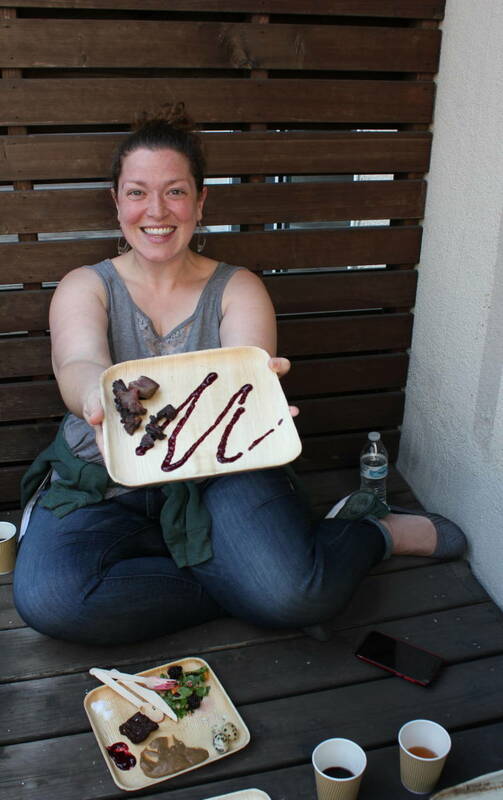 Andrea Wieland of San Francisco said she'd been excited to taste the food for an entire week prior, and she wasn't disappointed. "I think there's a lot of indigenous cultures throughout the country that are a little bit better represented [than the Ohlone], but you could live in the Bay Area your entire life, and it wouldn't really register ever that there's a whole indigenous cultural group because we never hear about them," said Wieland, who said she'd never met an Ohlone person before visiting the cafe. Alex Waite says she's excited about the establishment, which she says gives her another way for her to connect with her Native American heritage after being adopted away from the reservation where she was born. "My body feels really good eating it, you know?" Waite said. 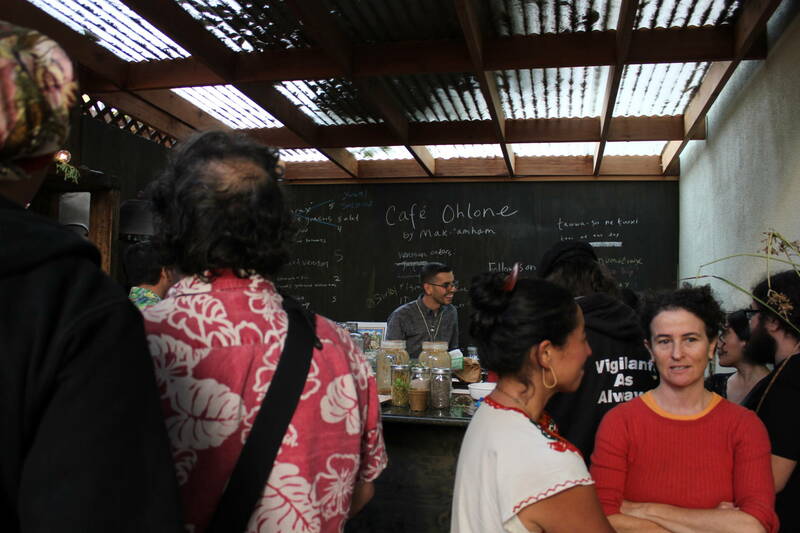 Cafe co-owner Vincent Medina says the food is as indigenous to this region as it is invisible to many. "It can be isolating when you're Ohlone, when you know you're from a place but you don't really see any reminders of your existence anywhere,' Medina said. "And then to top it off, a big chunk of the population thinks you're extinct." Medina is from one of East Bay's oldest families, and he spent nearly a decade studying audio and written records of the last fluent speakers of the Chochenyo language. 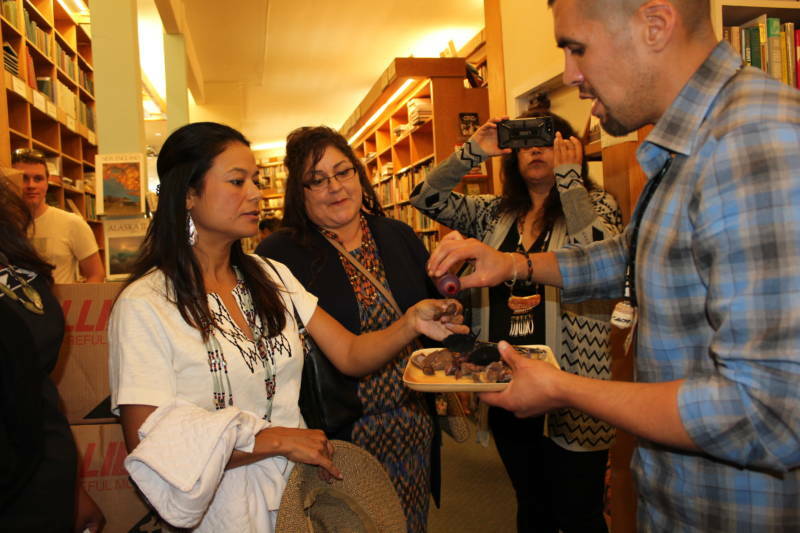 "One of the things I think about a lot is how sad it must have been in those times in our history when those traditional foods weren't available to our people," he said. "Not because they didn't care about it, but because of the violence that existed." Medina says Cafe Ohlone is following in the footsteps of those elders who worked hard to preserve their traditions against the odds. "We're just trying to make it easier for the next generation," he said. The cafe plans to update its Twitter feed with its progress and schedule as it moves toward an official grand opening.